She's been teaching my little one since she was 3 and she loves it. 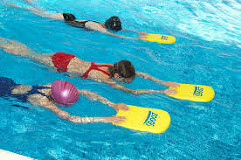 We recommend you check out Swimming Camps in Marbella. You'll find several family recommended swim camps on this link.